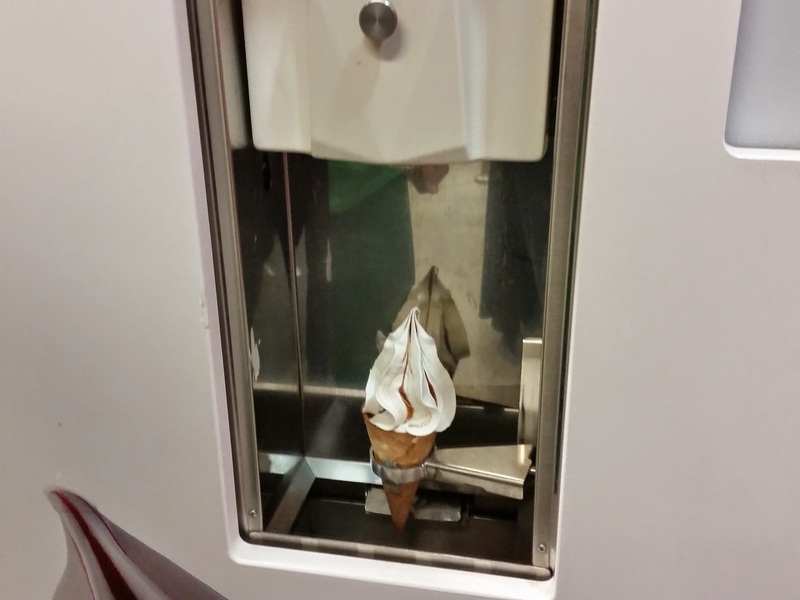 ﻿Almost everyone who takes a trip to IKEA cannot leave without getting an ice cream, for some reason these are the best ice cream cones ever. 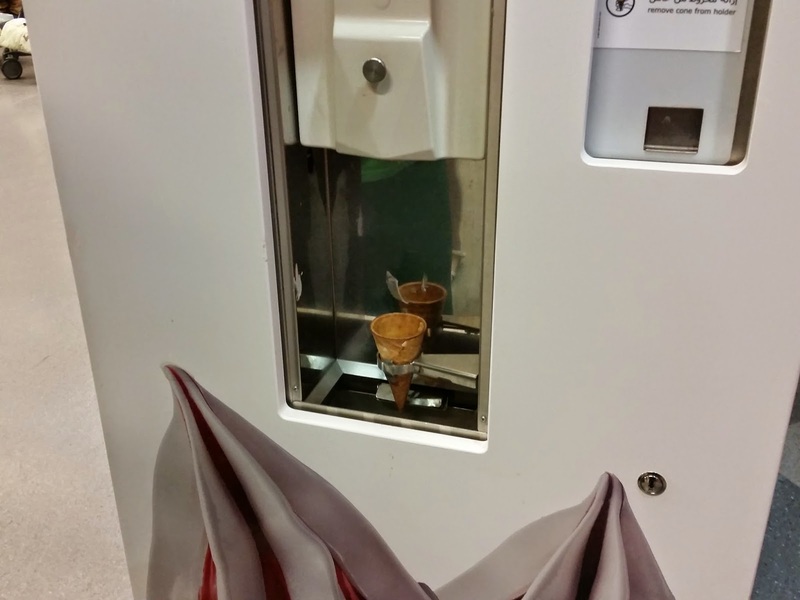 I haven't been to IKEA in a while, when we went for ice cream I notice a line of people standing around a machine with a ice cream cone picture. I got to the register asked for chocolate and instead of getting our cones, we got tokens. You are no longer served by the staff, instead you pay and get a token that looks like a watch battery so be careful if you hand it to your small kids. 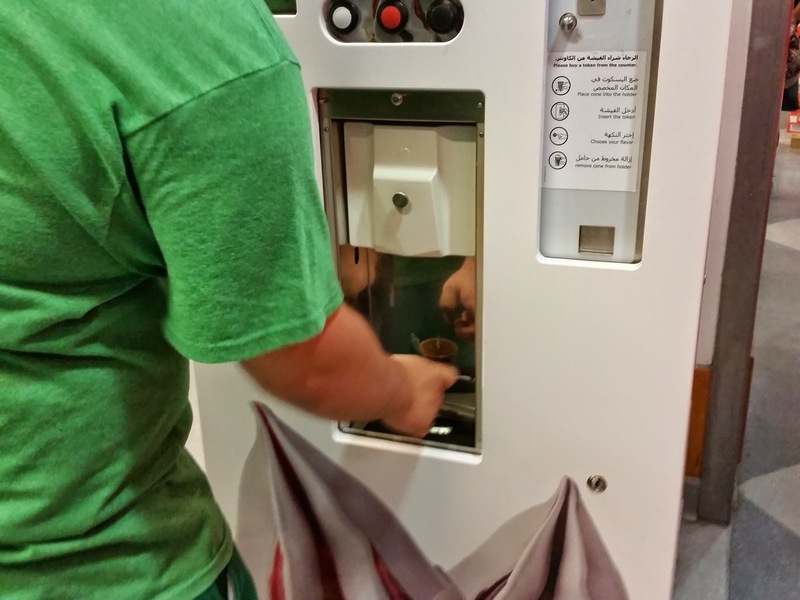 You then wait in line and sit your cone in the machine, put the tokens in and the magic begins. 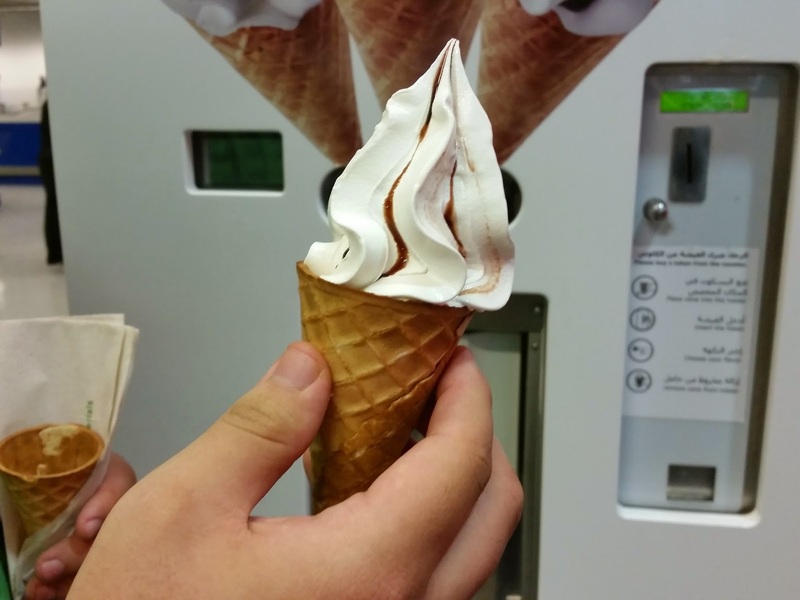 The ice cream is still vanilla but with a swirl of chocolate or strawberry. I want one of these in my house! They are smaller than when hand served, maybe it's a cost control solution? It reminds me of Vegas, it was so much fun to hear the coins drop, get your hands dirty from handling the money and now you get a receipt, no more sounds of falling coins hitting the metal trays. With the ice cream, it's fun to wait and get it handed to you and they were bigger.